Share the results with the school or district. 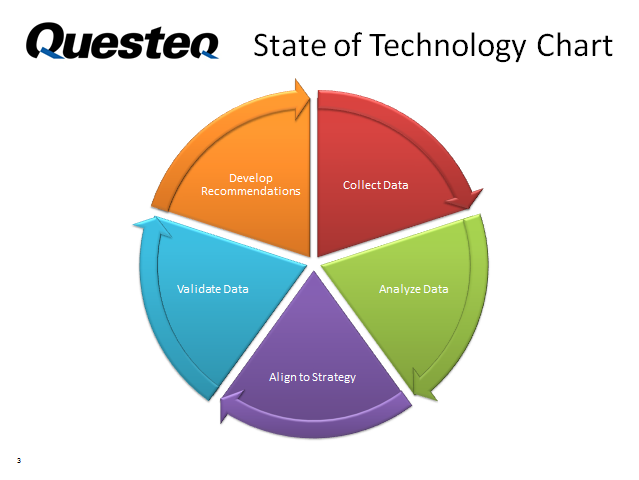 Questeq performed the State of Technology of Assessment for the Beaver Area School District during the spring of 2012. In December 2012 Norton coordinated technology assessments for the Fannett-Metal and Keystone Oaks School Districts. In the spring of 2013 Norton assisted with a technology assessment for the Sharpsville School District.